From launches to liners, from system defense boats to dreadnoughts, a starfaring campaign requires ships . . . and GURPS Traveller: Starships gives them to you! 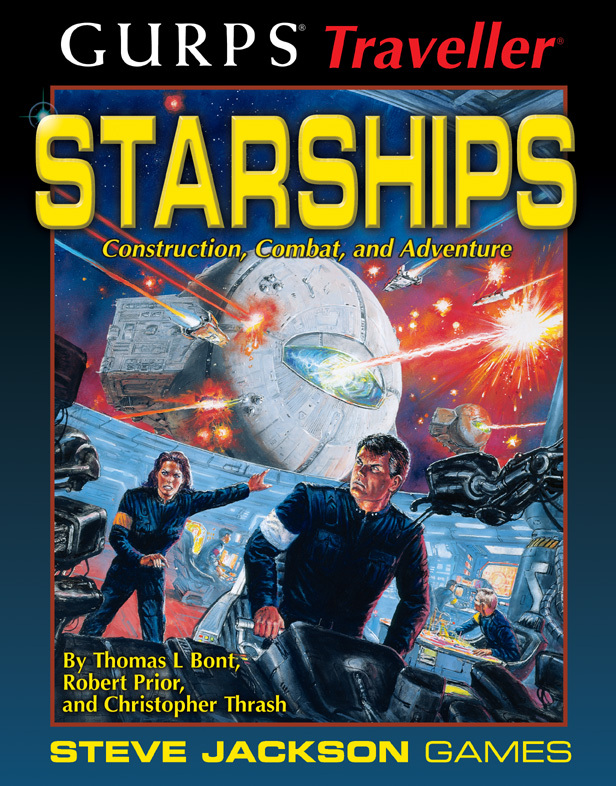 In addition to rules for designing and rating your own spaceships (at both TL9 and TL10), this book contains over 35 pre-designed craft, ranging from 10-ton fighters to 500,000-ton dreadnoughts, described in detail and ready for use in a campaign. 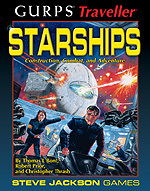 GURPS Traveller: Starships also details the "View from the Deck"; the experience of being aboard a starship. Passengers and pursers, bridge crews and black gang, owners and deckhands; they're all here. GURPS Traveller: Far Trader – There's a fortune to be made among the stars – for the intrepid merchant with business savvy, a suspicious mind, and more than a little luck. GURPS Traveller: Starports – This book classifies standard starports and describes their facilities, organization and functions.